Chartered Psychological and coach, Dr Gary Wood offers a lively, engaging, entertaining and thought-provoking approach to teaching and learning. His background in applied psychology, his work as a broadcaster, a magazine columnist and an author means he can ‘cut to the chase’ to translate evidence-based psychology and coaching into something highly relevant and of practical value to the learner. Gary is a Fellow of the Higher Education Academy and a full member of the Division of Academics, Researchers and Teachers in Psychology of the British Psychological Society. 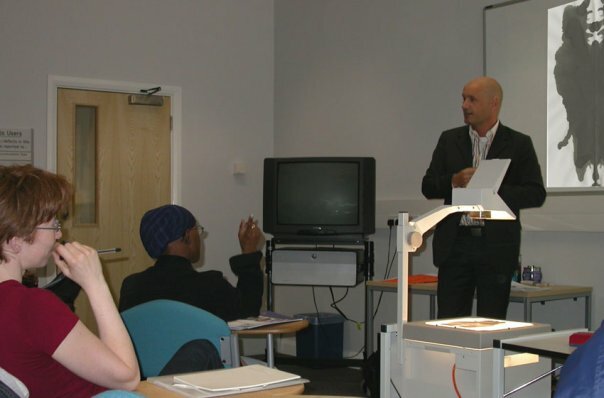 He began teaching in 1994 and since taughtpsychology, research methods and learning skills in several UK universities at all levels from undergraduate to postgraduate. In partnership with Brook Clinics he has delivered training in sexual health and relationships.Again with Brook and in conjunction with The Birmingham Rep he delivered workshops at schools to support a sexual health themed play. Other training includes team building for managers for the University of Birmingham’s Management Development Programme. He was also programme coordinator for The Certificate of Higher Education in Psychological Studies programme and the Masters in Solution Focused Brief Therapy (both at University of Birmingham). Gary began formal (life) coaching in 2003 to support a group of mature students studying psychology. Since then he has developed a number of personal development courses in mindfulness, meditation, relaxation, creative visualization, goal setting and confidence building. He has delivered workshops at Mind, Body & Spirit Exhibitions and Festivals and other health and well-being venues to support his self-help books: Don’t Wait For Your Ship to Come In. . . Swim Out to Meet It and Unlock Your Confidence (Buy: Amazon UK / Amazon USA ). He runs his own coaching, training and research practice in Birmingham and Edinburgh, UK. To discuss your training needs with Gary, please use the form below. See recommendations from clients and students.